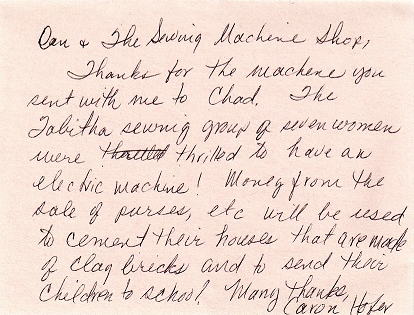 The Sewing Machine Shop is proud to support sewing projects in our community. 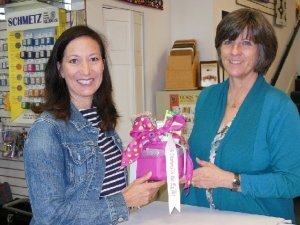 Our donation included a Blue Fig Bag stuffed with goodies from our shop along with a $100 gift card. 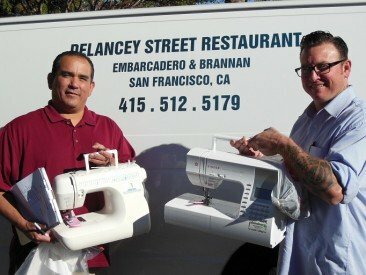 On behalf of the Delancey Street Foundation, I’d like to express our sincere thanks to you for your generous donation of two household sewing machines, which you value at $500.00. This donation is not done for trade of services or goods, and is an important reflection of your commitment to the community. As you know, Delancey Street Received no funding from clients or from tax dollars for our work helping substance abusers, homeless people, and others who have hit bottom rebuild their lives. Your donation is truly critical to our work. As the violence and hopelessness in society grows, the number of people trying to enter Delancey Street increases daily. We are only able to continue to provide the opportunit to teach our residents to re-enter society as productive citizens because of the help of friends like you. 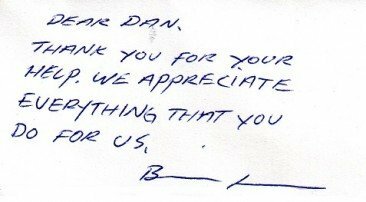 There is no way we can adequately explain how much your support means to us. 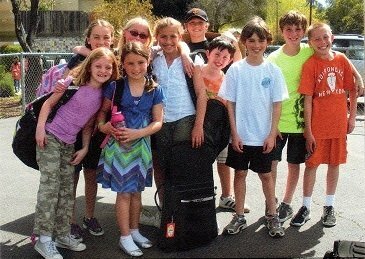 Dan Ozanne Delancey Street Foundation. Five years ago Barbara Bretzinger’s son Donny began his Military service in the United States Army, serving terms in Korea, Irag and Afghanistan. 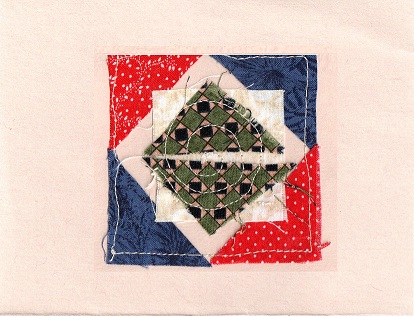 Relying on sewing to help her deal with the stress of having a son overseas, she began teaching military wives to sew, as well. Next month as her son returns to Afghanistan, she will again be driving donations of fabric, thread or notions to New York to teach sewing. She is endorsed by the Department of the United States Army and is a volunteer at Army Community Service. 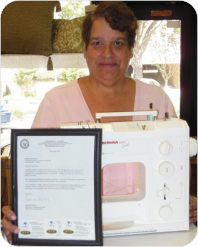 We are pleased to be a collection center for Barbara for any fabric, thread or machines from our friends and customers. 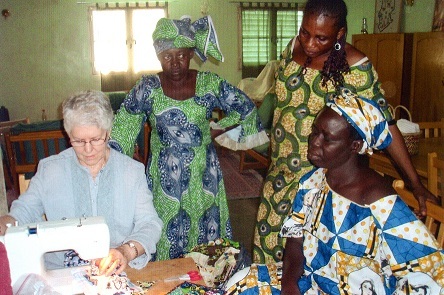 Members of the Tabitha Sewing Group in Chad with Caron Hofer and new sewing machine.